The Starlites just keep winning. 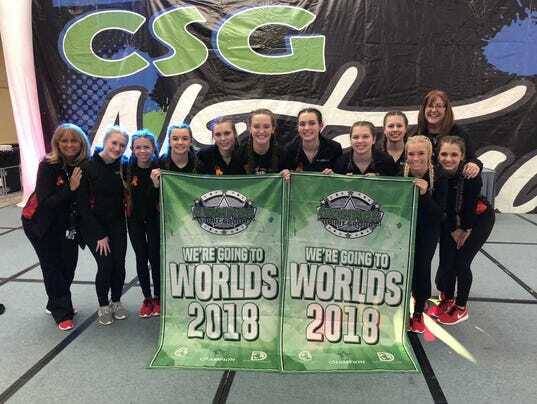 The Huron Physical Arts Center competitive dance teams are back home after competing at the CSG Team Champion Dance Nationals in Chicago. 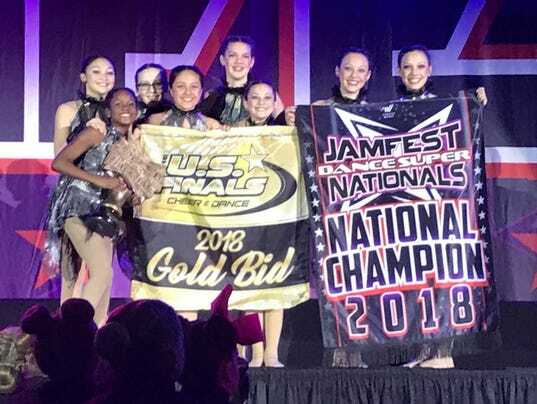 The Starlites enjoyed plenty of success in the two-day event, with the Starlites junior team being named Grand Champion after placing first in the youth small lyrical division and also first in the youth small jazz division. The team was second in the youth small pom division. The team also won overall best choreography for their lyrical routine and were awarded at-large bids to Dance Nationals in May. 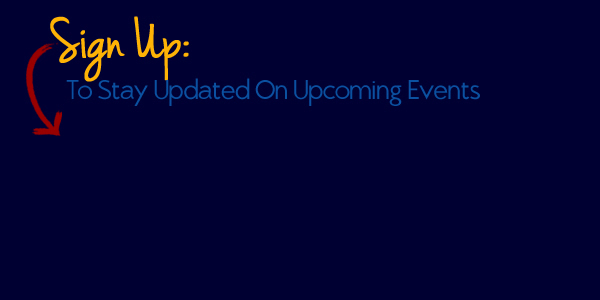 Team members included Nalani Broderick, Chasity Jacob, Nyah Reynolds, Abby Slossar, Allison Slossar, Brianna Slossar, Jayde Ullenbruch and Reese VonHiltmayer. The Starlites senior team was third in the senior small lyrical division, fourth in the small jazz division and fifth in the pom and hip-hop divisions. The team included Alivia Dunn, Andrea Dunn, Averie Dunn, Maddy Hemby, Emma Huston, Kyra Larsen, Brynn McGregor, Mallory Nowiski, Jamie Rich, Adrienne Slossar and Morgan Smith. They will also compete at Dance Words with an at-large bid in the hip-hop division. The Starlites Tiny Duet, consisting of Aleenah Ullenbruch and Sydney Houghtaling, were first overall in the tiny hip-hop division and second overall in the pom division. The Starlites junior jazz duet placed second in the jazz division behind the contributions of Alivia Dunn and Maddy Hemby. The Starlites youth small prep team was second in the pom division and also the hip-hop division. Team members included Eliana Arnold, Olivia Bailey, Eloise Bynum, Averi Crisenbery, Lucy Hemby, Gwen Hosterman, Jenna Lee, Keely Lee and Ava Slossar. The Starlites are back on the move. The competitive dance team recently traveled to St. Louis, Missouri, for the Jamfest Dance Super Nationals. The Starlites junior team placed first overall in the Lyrical Division to qualify for the Dance Summit National championships at Walt Disney World in May. “We worked very hard and we pushed outside of our comfort zone to get the best out of ourselves,” Brianna Slossar said. “Because of that, we won the National Champion title in Lyrical. The best feeling was getting chosen to represent varsity at the Dance Summit National Dance Championships at Walt Disney World in May”. The team also placed second in the Pom and Jazz divisions. The Starlites senior team was third in Lyrical and fourth in Pom, Jazz and Hip Hop. The team was awarded an at-large bid in the Pom and Jazz divisions to Dance Worlds. Senior dance members include Jamie Rich, Alivia Dunn, Andrea Dunn, Averie Dunn, Maddy Hemby, Emma Huston, Kyra Larsen, Brynn McGregor, Mallory Nowiski, Adrienne Slossar and Morgan Smith. The Starlites will return later this month for the Team Champion Dance Nationals in Chicago, before traveling to Florida in May. “Having our teams being able to compete head-to-head against these amazing teams from across the country is a tribute to their consistent hard work and determination,” Starlites coach Laurie Charron said. Congratulations to Starlites Alum Tianna Jones on being chosen as one of the Detroit Lions NFL Professional Cheerleaders for the 2017-2018 season! Your Starlite family is very proud of you! Congratulations to Starlites Senior Andrea Dunn on recently winning the Congressional Art Contest with the Best in Show award. Andrea’s artwork will be displayed with all winning entries at the U.S. Capitol for one year. Great job Andrea!